Cardamom is the Indian vanilla. It basically functions as a vanilla substitute in Indian cuisine. We use it in pretty much any sweet dish ranging from rice pudding to nut fudge to masala chai. I love the flavor so much, I chew on cardamom pods in place of mints…I know I’m weird. Don’t judge! I have a method. I pop a whole pod into my mouth and enjoy the flavor and texture of the skin for a while. Then, I put a small crack in the pod and start to pull out the seeds one at a time. They are the prize! I love the spicy, minty, intense flavor that you get when chomping down on one of the little black seeds. 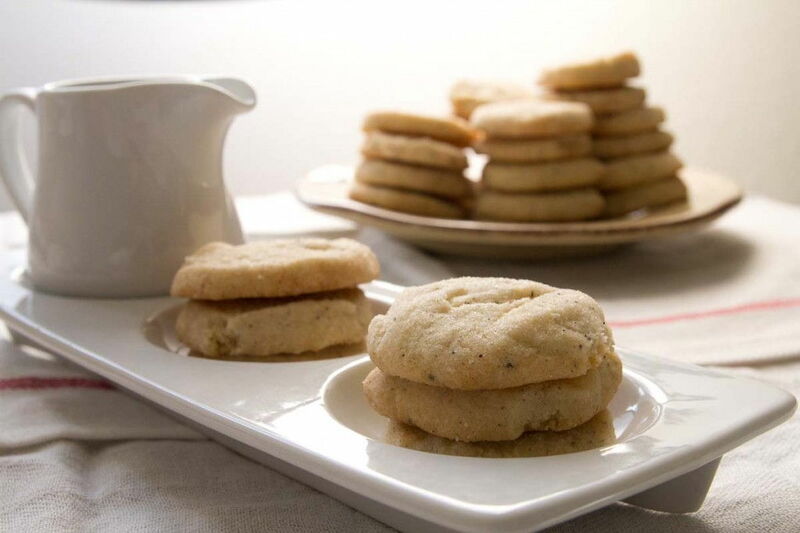 Last weekend, while trying to think of what to bake for a friend’s birthday, I had a craving for a cardamom. I found what sounded like the perfect recipe online. As soon as I saw that the recipe had semolina in it, I was hooked. The semolina was the deciding factor. Semolina, or rava as we call it in Gujarati, is an incredibley versatile ingredient that has a delicious toothy texture and a flavor that is great in both sweet and savory foods. All the ingredients sounded amazing on their own and I knew they would be perfect together. Whisk together flour, semolina and 1 1/4 tsp cardamom in a medium bowl. In a large bowl, beat the butter, 1/2 cup + 2 tbsp sugar, and salt until it’s light and fluffy. Beat in the egg yolk, mix well. Use a spatula (or your hands) to fold in the flour until it’s just mixed. Add the Amaretto and mix. Roll each dough half into a sheet of wax paper and form into a log. Twist up the edges and refrigerate. Preheat oven to 350 degrees. 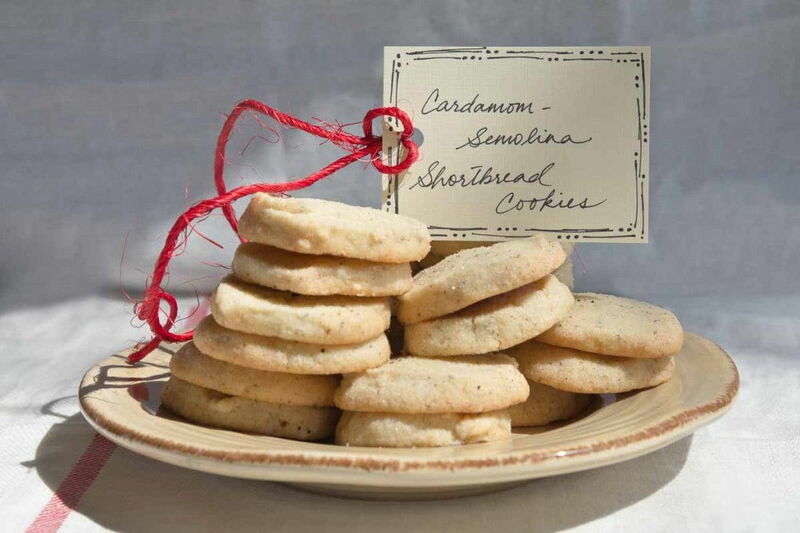 Mix the remaining sugar and cardamom and spread out onto a plate. Slice the dough logs into 1/4 inch pieces. Dip the top side of each cookie into the sugar mixture, and place on a baking sheet. This recipe is adapted from a Food Network Recipe. I halved the recipe because I didn’t need to make 8 dozen cookies. 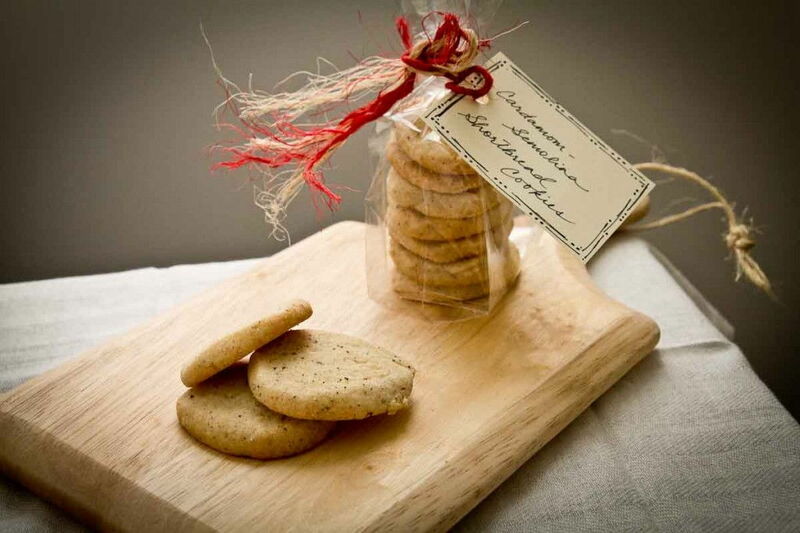 Comments on "Cardamom Semolina Shortbread Cookies"